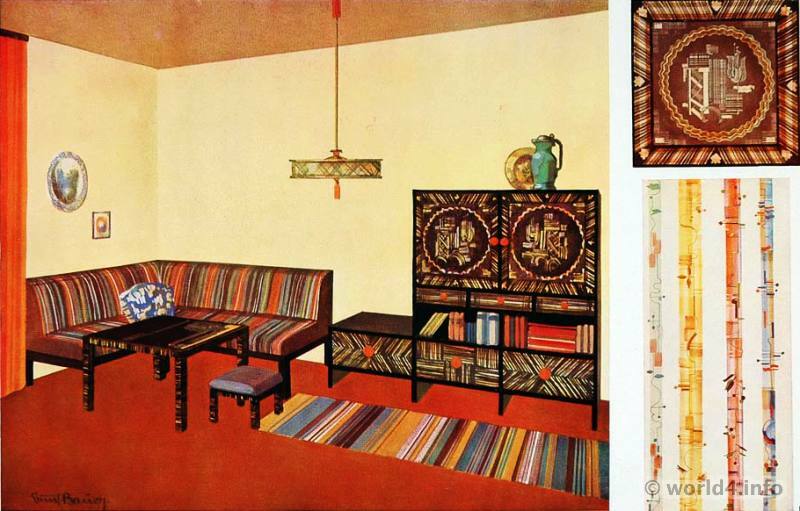 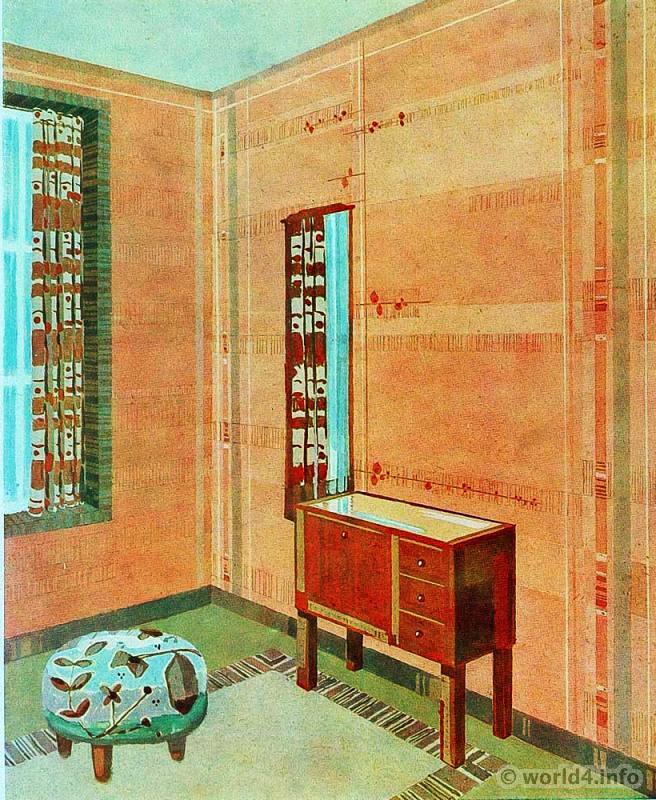 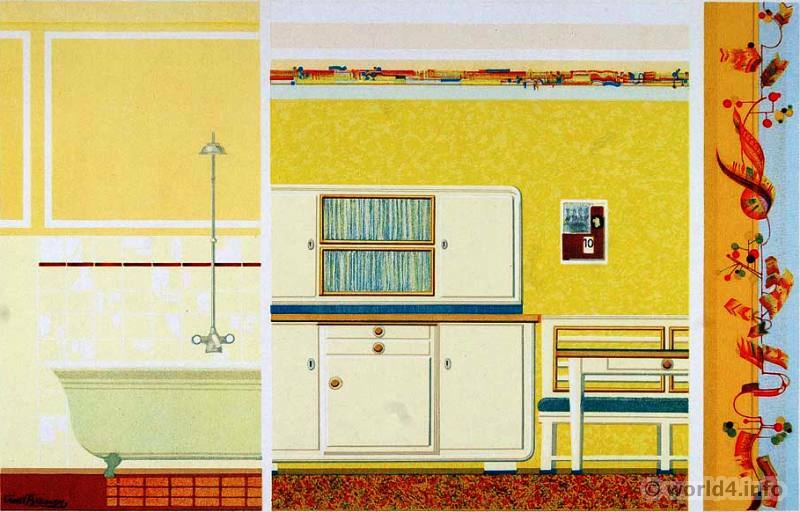 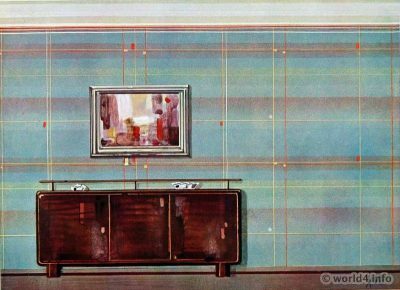 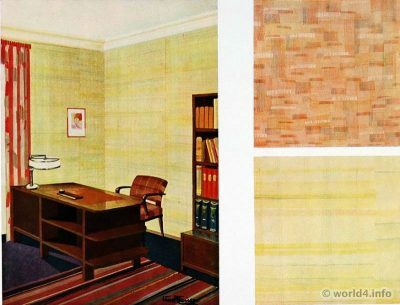 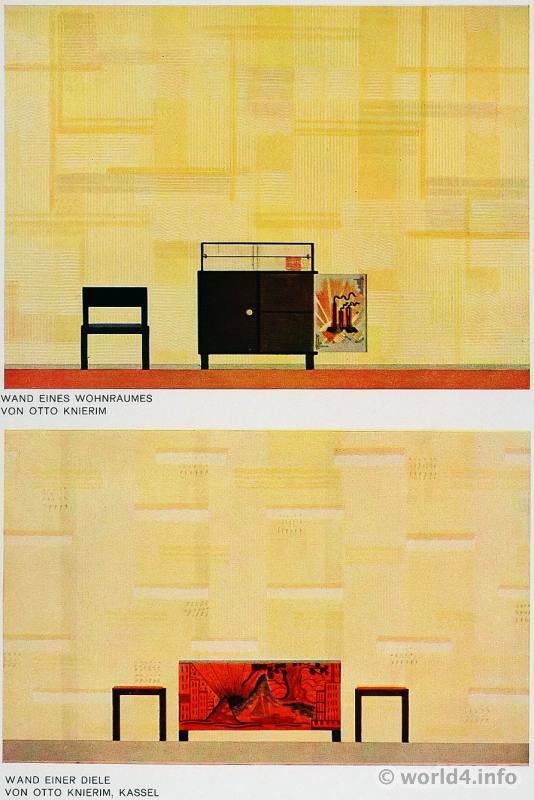 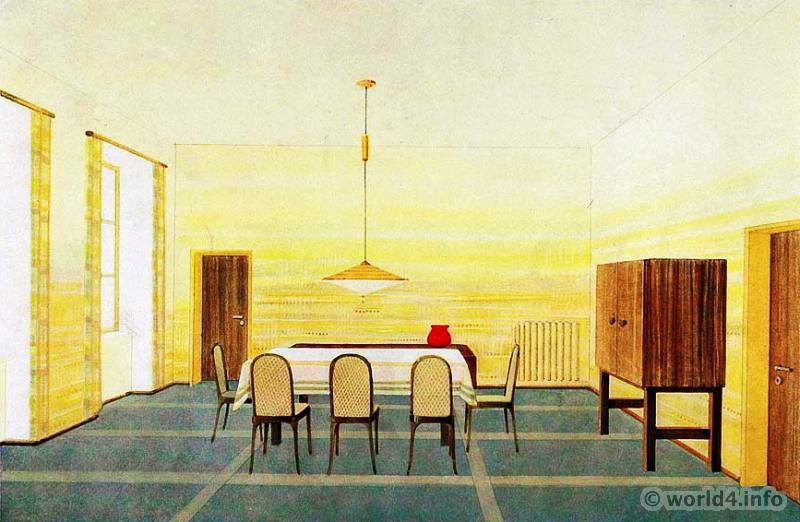 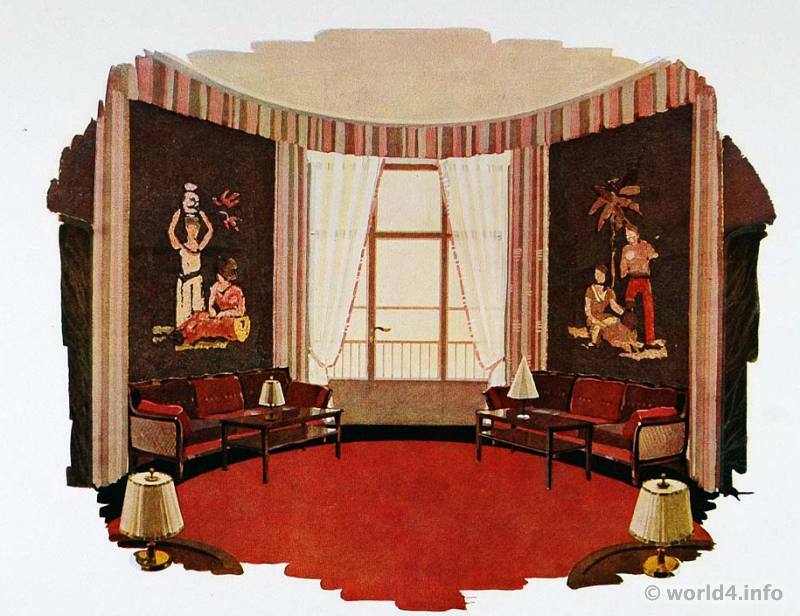 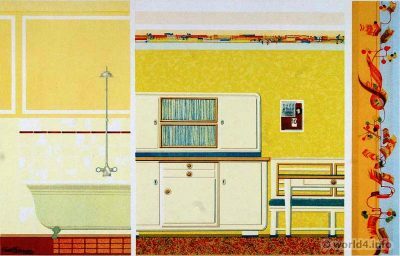 Home » German Art Deco Design, Color and Furniture, 1930s. 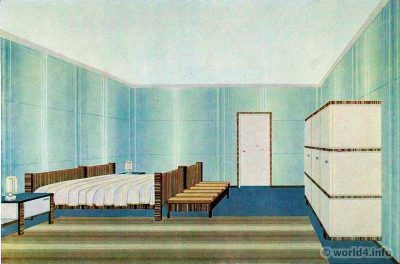 German Art Deco Design, Interior Design, Color and Furniture, 1930s. 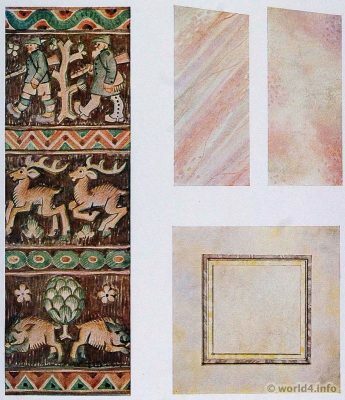 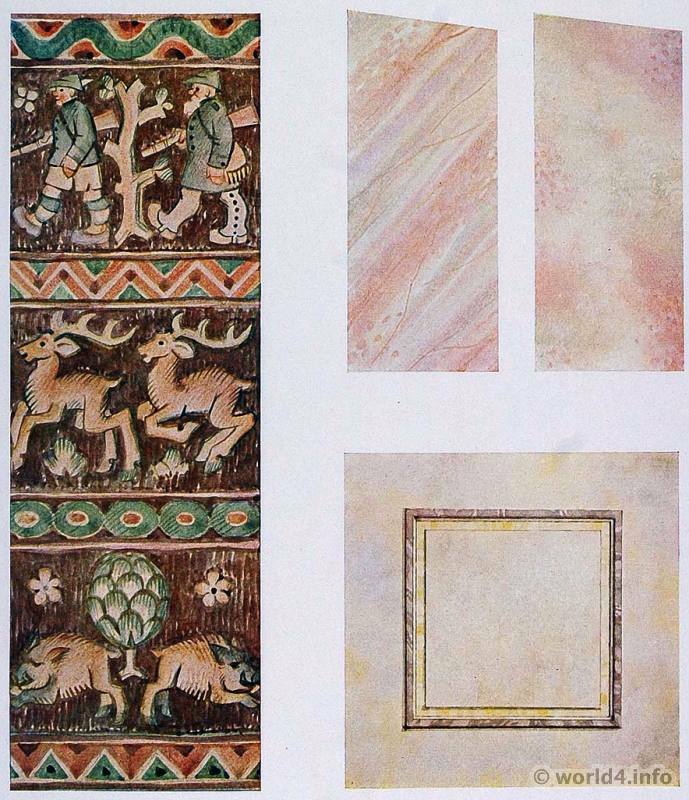 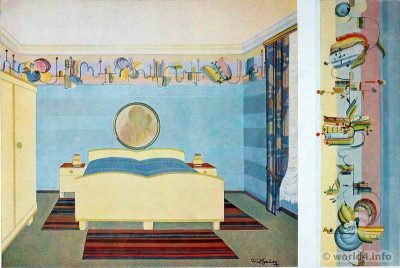 Art journal – German painter newspaper – Illustrated Journal of colored interior design. 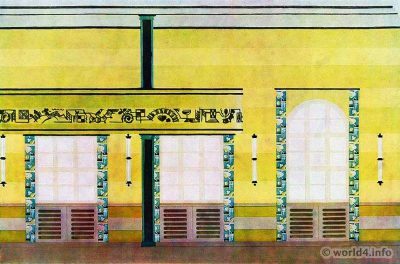 Social hall with a gallery of Josef Martl, Munich. Corridor design in an old apartment by Wilhelm Dechert. 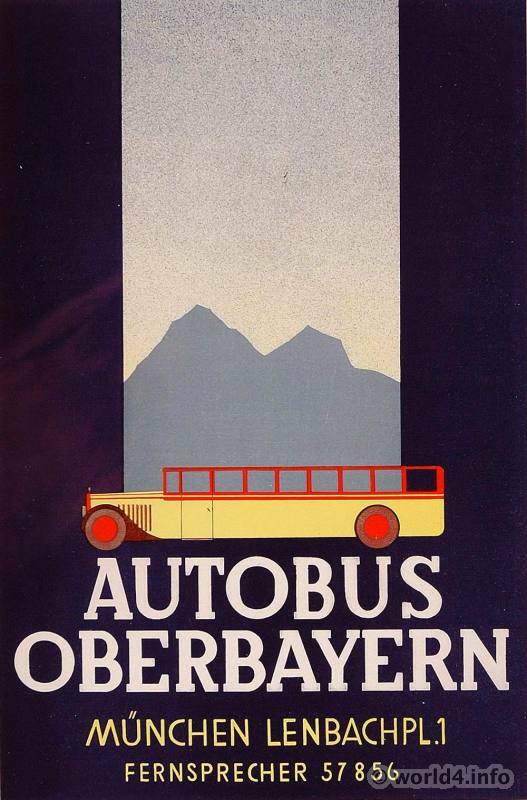 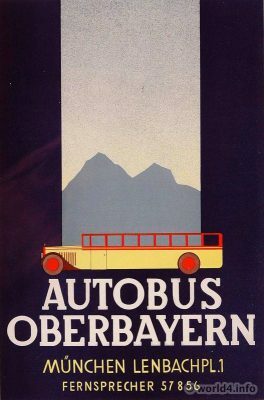 Advertising poster Autobus Oberbayern, 1930s. 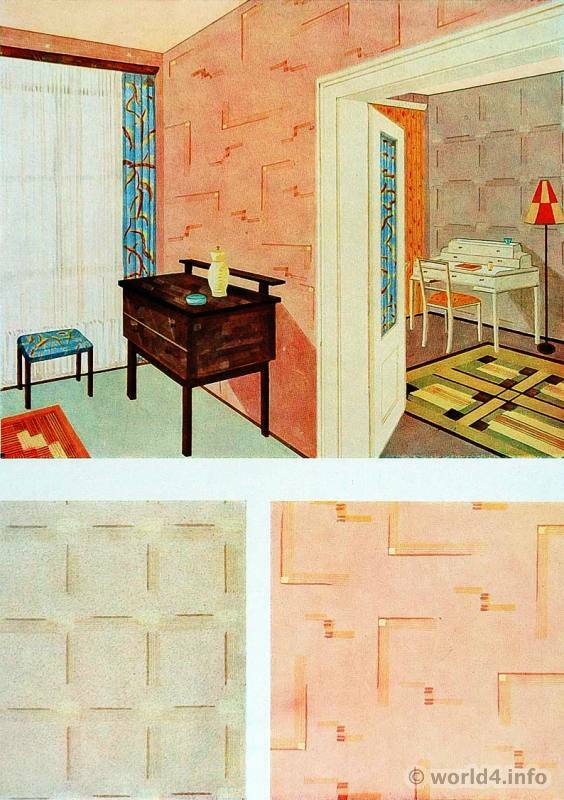 Bedroom design by Wilhelm Dechert. 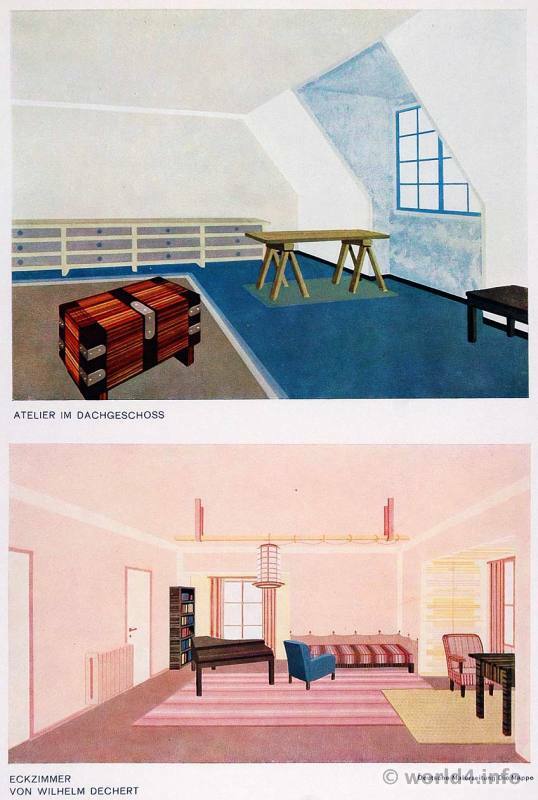 Studio on the top floor, corner room by Wilhelm Dechert, 1930s. Dining room by Wilhelm Dechert 1930s. Wall surfaces loosening, animations by Wilhelm Dechert. Bavarian restaurant, guest room design by Karl Sonnet, Olching. 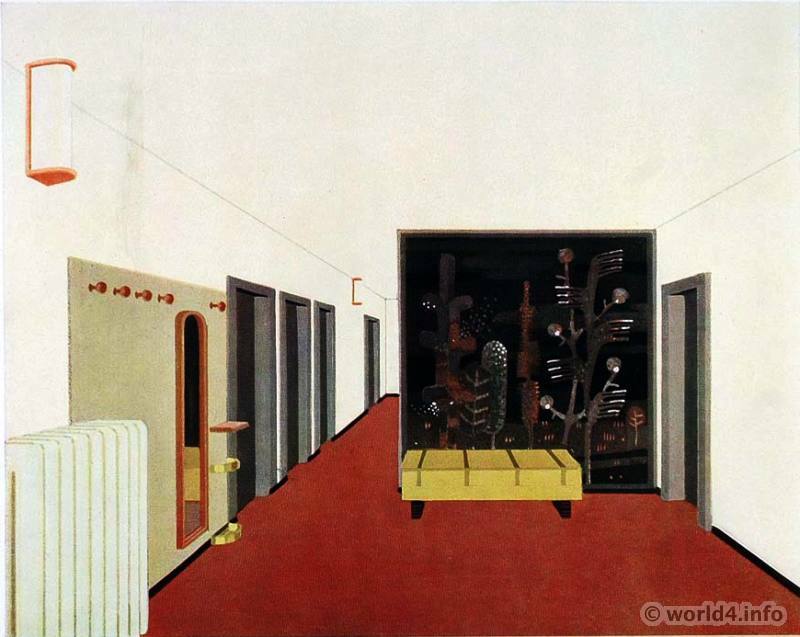 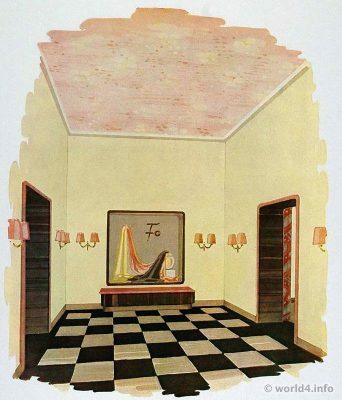 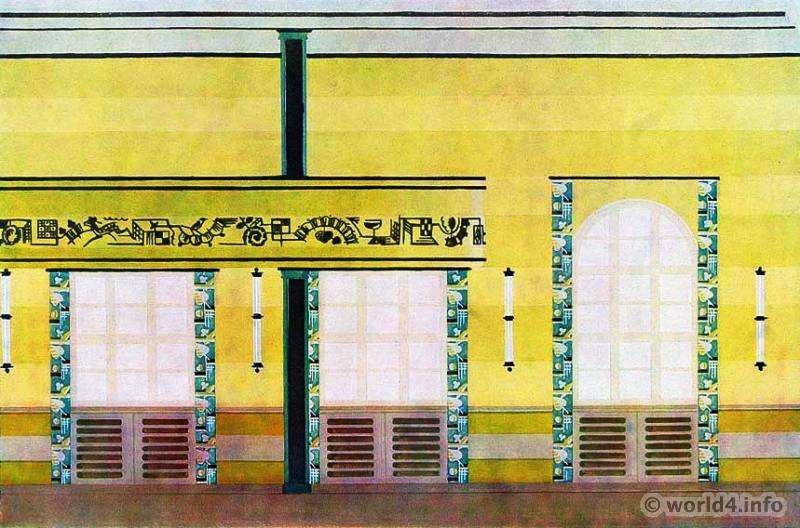 Anteroom of a fashion showroom by Wilhelm Dechert. Showroom in a fashion salon by Wilhelm Dechert. 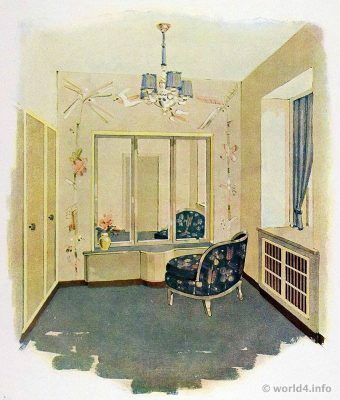 Dressing room by Wilhelm Dechert. 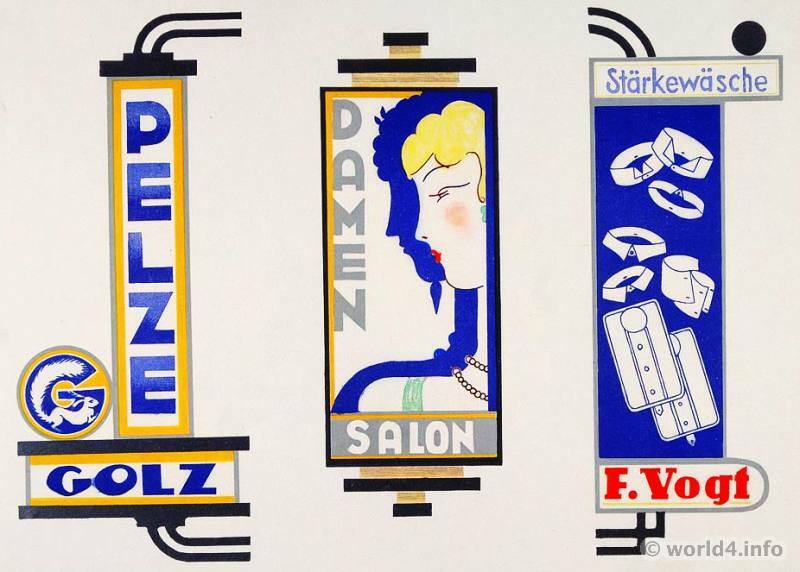 Designs for promotional transparencies from August Golz. 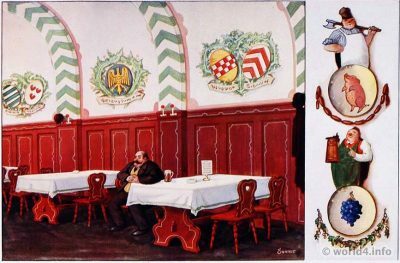 Wall of a living room of Gusto Kröner, Traunstein. 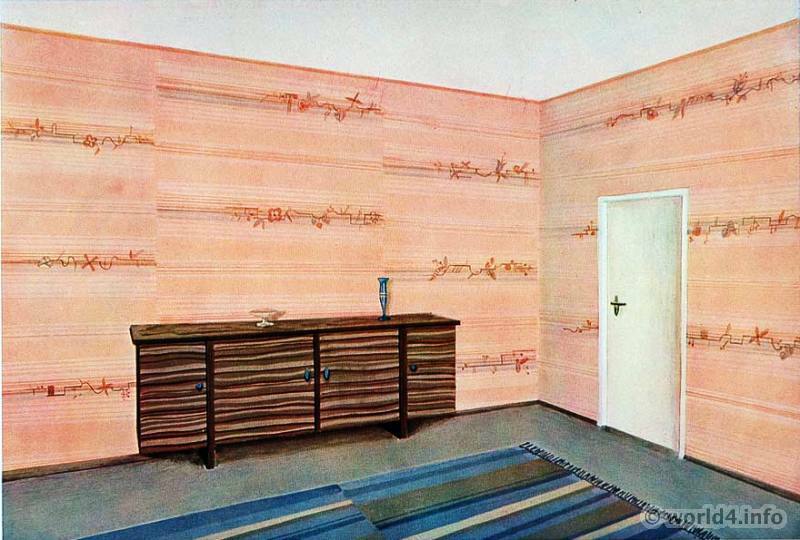 Wall of a living room, Wall of a hallway by Otto Knierim, Kassel. Living room by Georg Müller, Lengefeld. 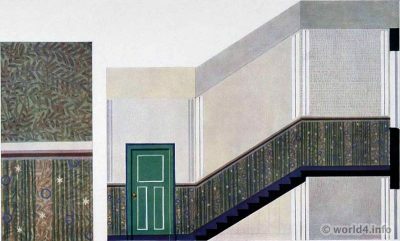 The stairwell by Richard Keller. 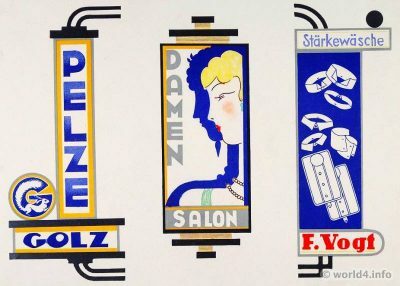 Design billboards glass transparencies by Paul Jöde. 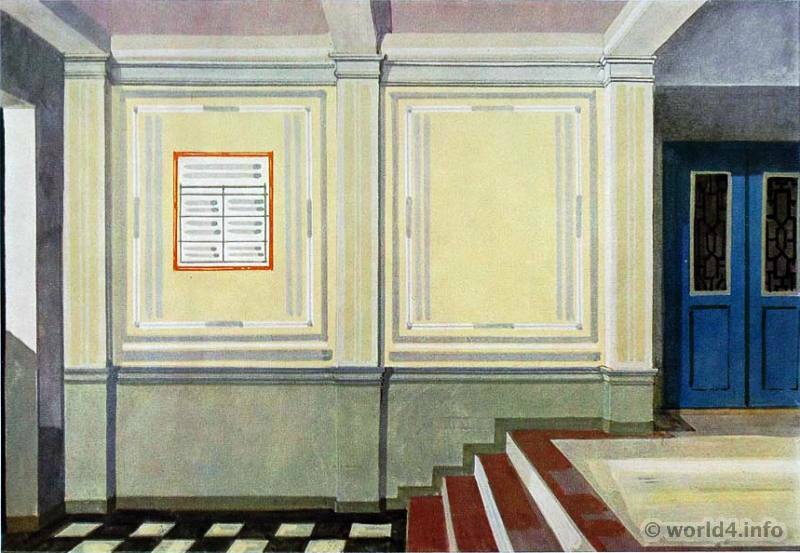 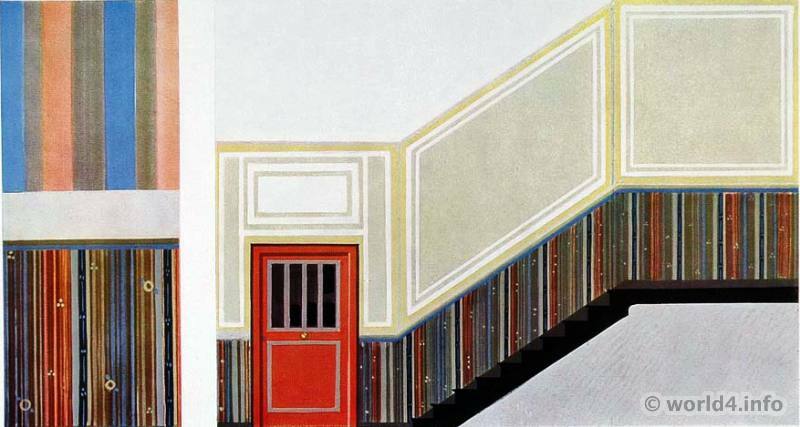 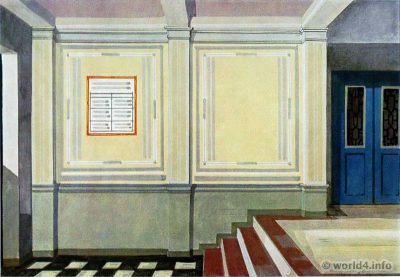 Entrance hall to the staircase of a school by Otto Rückert. 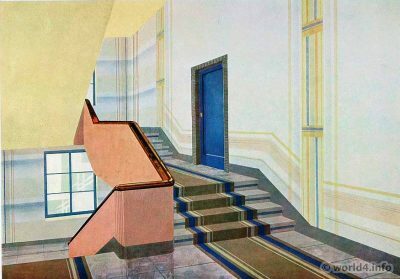 The stairwell by Otto Rückert. Entrance hall to the stairwell of an apartment building. Kitchen and Bath by Ernst Bauer, Munich. Bedroom of Ernst Bauer, Munich. 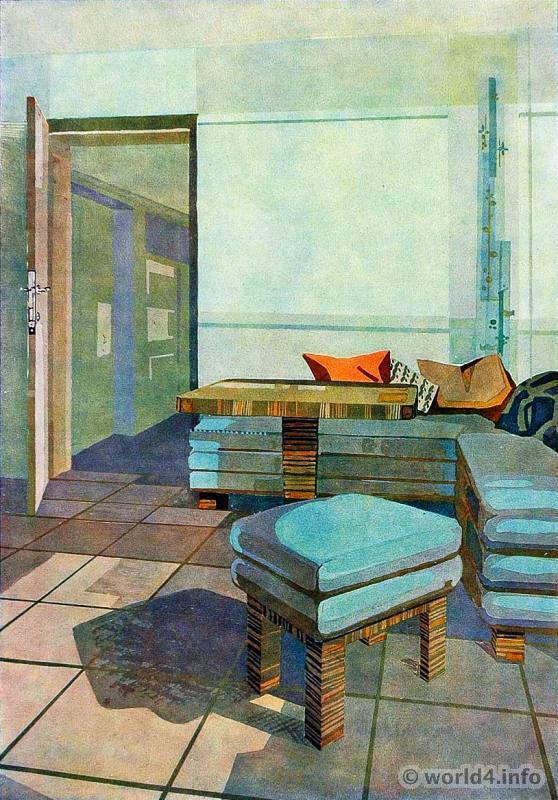 Office by Ernst Bauer, Munich. 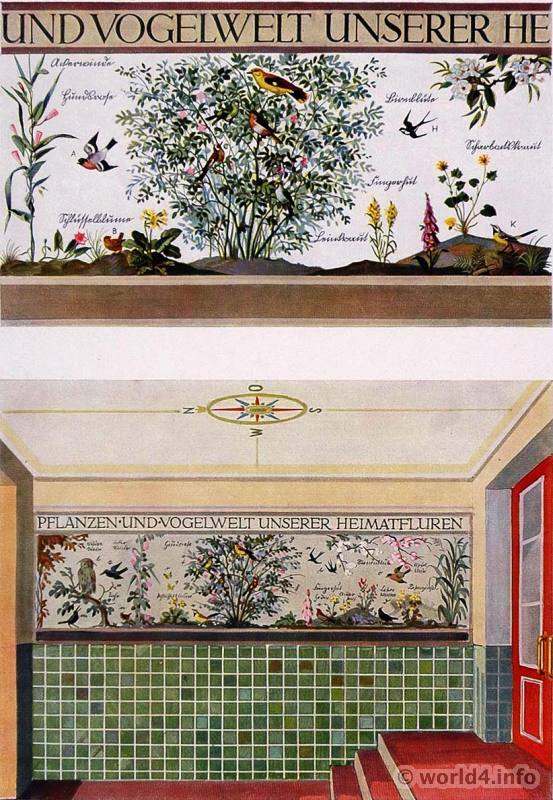 Vestibule or hallway design by Ernst Bauer, Munich. 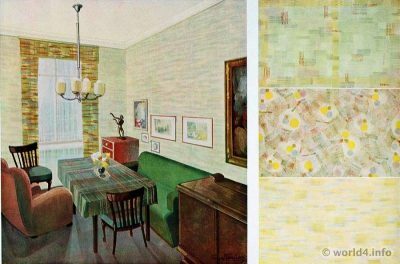 Living room, dining room at the same time by Ernst Bauer, Munich. 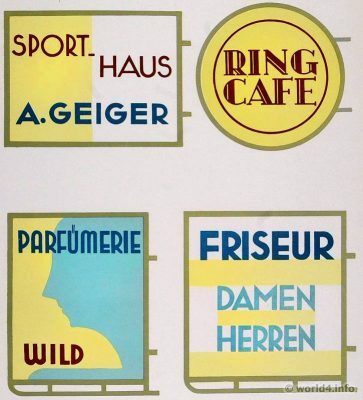 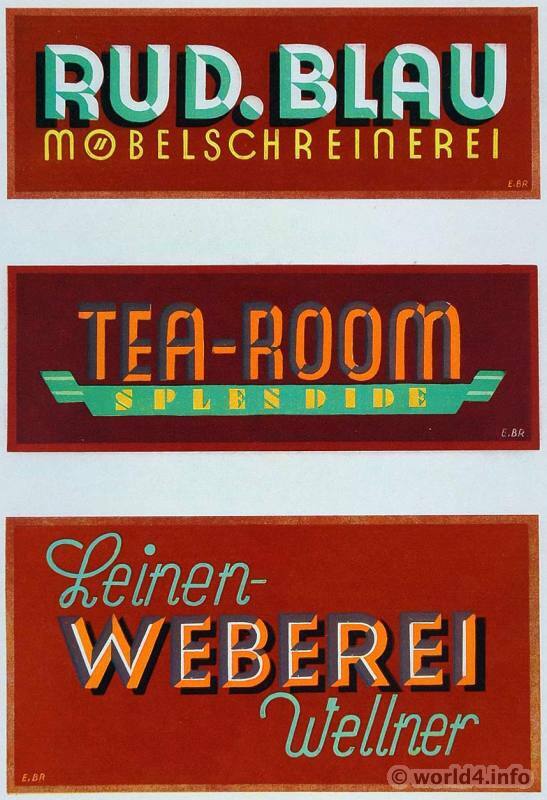 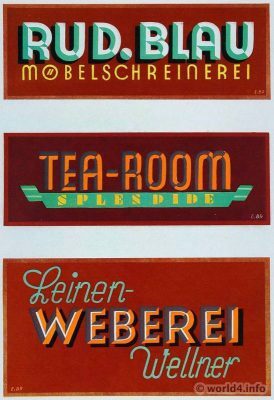 Advertising signs designs by E. Brügger, Berlin. Living room by Max Safft. 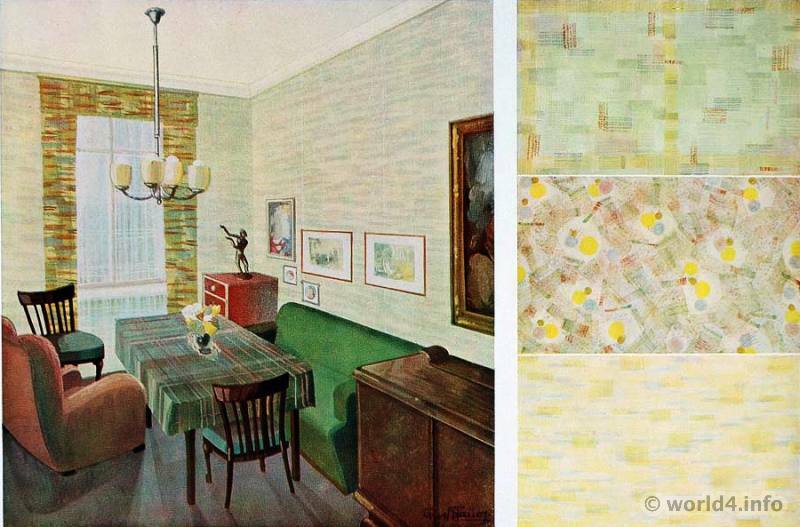 Living and working room by Josef Hillinger. 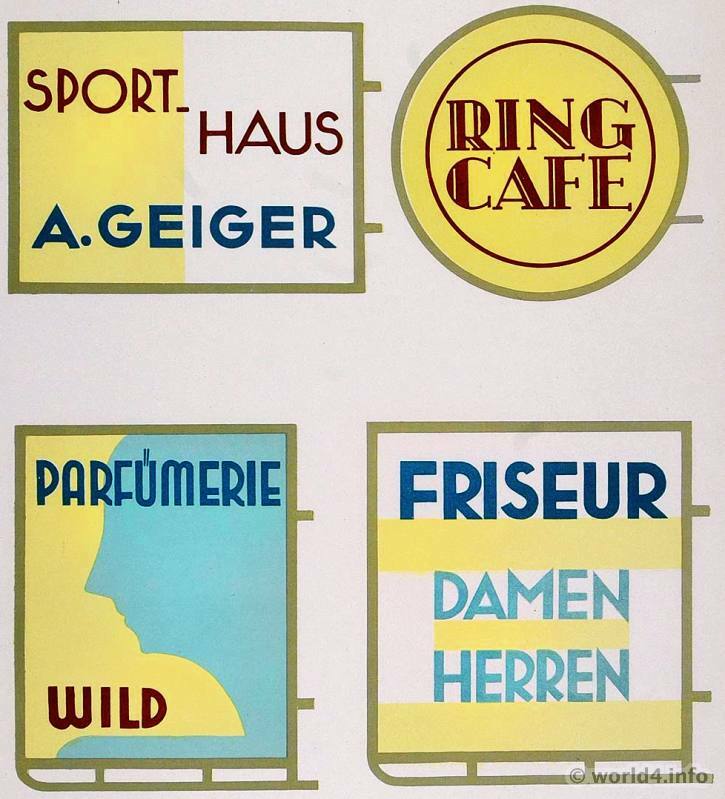 Design by Josef Hillinger, Max Safft, E. Brügger, Ernst Bauer, Otto Rückert, Paul Jöde, Richard Keller, Gusto Kröner, Otto Knierim, Georg Müller, Wilhelm Dechert, August Golz, Karl Sonnet, Josef Martl.